Bandhan Bank is planning to hire about 5000 people in 2017 to meet the growing manpower need at branches and other doorstep service centers. It has also developed a banking curriculum for graduates at its training facility with a promise to take them on board on successful completion. The private sector micro loan lender relies on expansion of physical presence and needs a steady source of trained people to run the show. The bank has built 826-strong branch network in just one and a half year of its life and plans another 160-170 branches by March 2018. Back of the hand calculation shows that about 1000-1200 of the new recruits would be hired for manning the new branches. The rest will be hired either to replace the gaps created by attrition or for doorstep service centres. 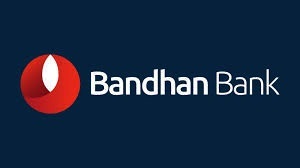 The training centre, known as Bandhan School of Development Management, is run by Bandhan's corporate social responsibility outfit Bandhan Konnagar. The facility at Kolkata has enrolled 59 graduates so far while it is equipped to train 240 people in a year. Graduates between 21 and 25 years are eligible for this residential programme. "Training is an investment, This programme is going to help Bandhan in achieving its mass-banking dream," National Institute of Bank Management director Achintan Bhatttacharya said at the inaugural function. The facility at Kolkata has enrolled 59 graduates so far while it is equipped to train 240 people in a year. Graduates between 21 and 25 years are eligible for this residential programme. "Training is an investment, This programme is going to help Bandhan in achieving its mass-banking dream," National Institute of Bank Management director Achintan Bhatttacharya said at the inaugural function.